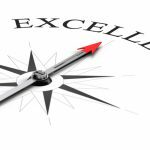 Operational Excellence – What Is It? The reason Operational Excellence or OpEx has become so popular now is the need for organizations to streamline to provide the best product or service at the lowest cost possible. This allows companies in the United States to be real competition to foreign firms producing the same products. In order to achieve Operational Excellence within a company, you need a clear plan of action and a good partner to help you through the process of implementing a Business Plan that includes the four categories listed above. There are many pieces to this puzzle, and 6Sigma.us has worked with many organizations to help them achieve Operational Excellence in their own company. The key is a good frame work sometimes referred to as the Operational Excellence House. This framework includes things like Six Sigma, Lean, Kaizen, and other key methods that are used together to complete the structure. You can’t have a completed house without each piece. 6Sigma.us not only offers classes for businesses on a global basis, but individuals not even involved in the larger workforce can take advantage of our training and certification. It is best to have as much knowledge early on in the game regarding Operational Excellence and Six Sigma deployment. Getting certified as a Six Sigma Yellow Belt, Six Sigma Green Belt, Six Sigma Black Belt, Six Sigma White Belt or Six Sigma Master Black Belt really makes an impact when you go in for that life-changing job interview. Employers will notice your training and certification by 6Sigma.us as a much-needed asset to a possible job position within the company. Moreover, higher-level executives can benefit from our Champion program. In addition, we also offer Green Process Management training courses for your business to transform into a “green friendly” operation giving you a positive public image, and possibly many more satisfied customers. Contact us to discuss how we can help you achieve Operational Excellence with Six Sigma deployment.